Alleghany offers any family or great outdoorsman an assortment of things to do. We have access to multiple National Parks, the Blue Ridge Parkway, Town and County parks where one could take advantage of walking, hiking, biking trails, picnics, and the opportunity to get glimpses of our wildlife. 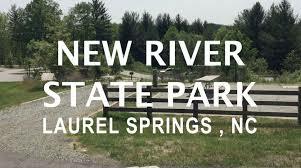 Also, The New River, believed to be the second oldest river in the world, provides white water rafting, fly fishing, primitive camping, guided tours, and more. All with a refreshing view of nature at its best. Not to mention town parades, outdoor music events, festivals, Fairground events, Farmer’s Market, Polar Plunge, Car shows and lots more. Come to Crouse Park near our Downtown area and enjoy a 1/3 mile asphalt loop as well as swings, slides, covered shelters, and a small stream. Doughton Park is a landscape of mountains, open meadows and pioneer cabins, 30 miles (48 km) of hiking trails and a place to view wildlife and get a feel for the lives of those who lived here long ago. Originally known as the Bluffs, this area came by its present name in honor of Congressman Robert L. Doughton, a long-time advocate and supporter of the Parkway. The 7,000-acre (.4 ha) Doughton Park is one of the best places along the motor road to view white-tailed deer, raccoons, red and grey foxes, and bobcats, as well as spectacular shows of flame azalea and rhododendron in the late spring. Sam Brown Park is located above Alleghany High School at the end of Trojan Avenue past the entrance to Davis Field. Sam Brown Park is the home place for the Sparta Lion’s Club. The park offers many different recreational opportunities including pavilion shelter, charcoal grills, playground equipment, outdoor basketball, hiking, and mountain biking. No horses or motorized vehicles are allowed outside of the parking area. The pavilion and basement can be rented for public or private events from the Board of Education @ (336)372-4345 for a fee. The basement has a full kitchen with seating for approximately 100 people. Playground equipment is in good condition including two jungle gyms, swings, merry-go-round, see-saws, and a full court basketball court. You can park in either the parking area adjacent to the building or in the parking area at Davis Field if gate to park is closed. The trail system starts behind the pavilion area and continues up to the top of Sam Brown Mountain. The trail also connects the park to the Blueridge Development Center and Alleghany High School. This trail system is completed. Alleghany County has five courts located at the public facility. This facility is a first come-first serve basis when not in use by County or School programs. Lights are available. 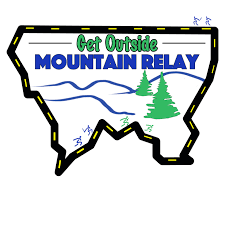 Please contact Alleghany Recreation @ 336-372-2942 for more information. Located on Trojan Ave. between Duncan Recreation Center and Lions Club Pavilion. Veterans Memorial Park is located between Veterans Memorial Highway (Sparta Bypass) and Duncan Street. Access to the park is from Duncan Street Veterans Memorial Park consists mainly of an open space multi-use area across Bledsoe Creek. 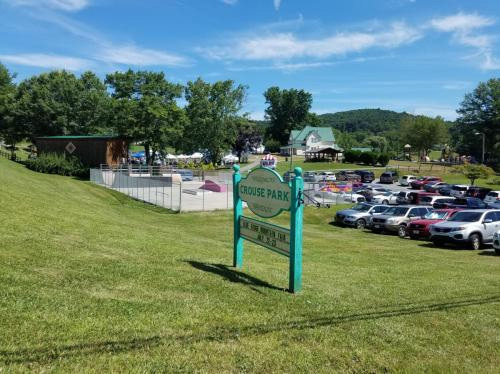 Other features at the park are: 75 space parking area, picnic shelter with attached bathrooms and concession area, concrete bridge, elevated walking path ¼ mile in length, fishing access, and a level open space area approximately 3 acres. This park is open to the public when not in use by programmed activities through the Recreation Department. To reserve the park facilities please contact the Alleghany County Recreation Director, Jim Brown (336)372-2942.